Have you been diagnosed with a digestion disorder? Are you frustrated that your doctors are unsure about what to advise for your diet? I help clients with Irritable Bowel Syndrome, Crohn’s, Ulcerative Colitis, heartburn, gas, bloating, abdominal discomfort, diarrhoea, constipation, and other digestive health issues. What you eat can have a significant impact on bowel symptoms. With 15 years of experience as a Registered Dietitian in the NHS and private practice, as well as specialist training in the treatment of digestion problems, I help you to identify the foods causing your digestion problems. I can never guarantee ‘curing’ your digestion, but the vast majority of my clients see a significant improvement in symptoms. Here is what some of my clients say. The low FODMAP diet was developed at Monash University in Australia, and has been published in international medical journals. It is now accepted and recommended as one of the most effective dietary therapies for IBS and other digestive conditions. In February 2015 it was added to the National Institute of Clinical Excellence’s IBS treatment guidelines. 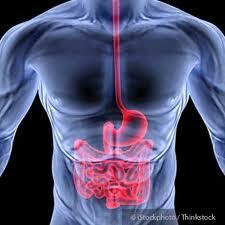 It is important that prior to your appointment a diagnosis of IBS or other digestive conditions has been made. recommended apps, websites, books etc.